Happy Monday! I hope that y'all are having a blessed Holy Week. Today I want to share with you The House on Harbor Hill by Shelly Stratton. I was pleasantly surprised with this book, and part of the reason why is because I loved Delilah's character so much. 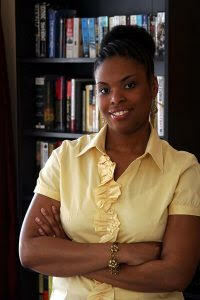 She's smart, kind, giving, and she has excellent taste in literature (of course I must mention that little tidbit). Delilah's mysterious backstory is told via flashback. It's the 1960s, and she's working as a maid. Unfortunately for her, she falls for the wrong man and it has nothing to do with his race. It's a common trope: smart girl falls in love with dishonest man who wore a mask in the beginning, full of romance and charm, only to turn into his monstrous true-self once he's manipulated her into falling for him. Delilah's husband Chauncey is so abusive over the slightest things. His rules are ridiculous, and his wrath is quick: He bruises her because the soup is overly salted, and he punches her in the mouth when she wakes him up late at night when his not-very-delightful sister Mindy calls. It doesn't take much to set him off. The rest of the narrative takes place in the present: Delilah runs a shelter for women and children who need a safe haven. She can relate to the abused women and minister to them on a level that most can't as she's experienced spousal abuse herself. Tracey's story mirrors Delilah's although she doesn't divulge much about her history. However, Delilah's history is fodder for gossip, and Tracey questions whether or not it's a good idea to allow her children to stay with a women who was accused of murder. Tracey decides to move into Harbor Hill, and she begins to blossom, especially in the eyes of Aidan the caretaker's eyes. She even feels secure enough to re-enroll in college and finish the last few credits towards her degree. I love Aidan's character, too. He has a tragic past and needs healing like many of the women who've stayed at Harbor Hill. Although I correctly anticipated several plot points, there are unexpected surprises in the narrative that I don't want to spoil for you. I do highly recommend this book not only because of the wonderful characters, but because I liked the pace; there isn't a single boring scene. Plus the ending is very satisfying! This is the first book I've read by Shelly Stratton, and I'll definitely read more of her books. 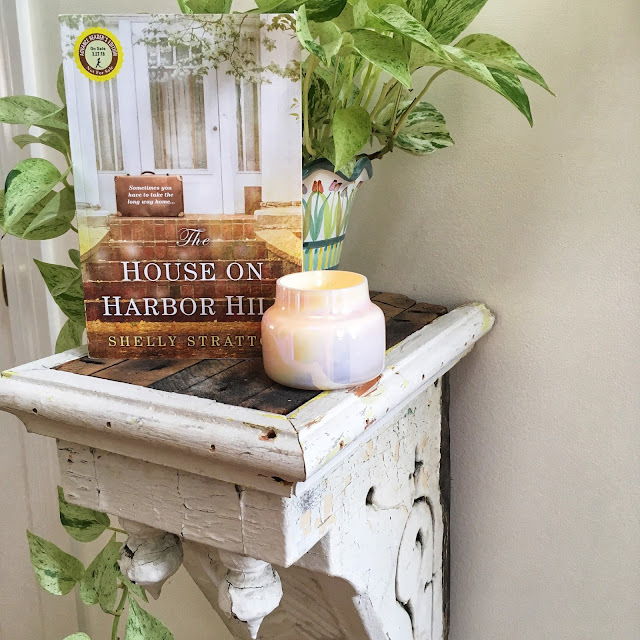 If you like Menna van Praag (The House at the End of Hope Street), Elizabeth Berg (Open House) and Sue Monk Kidd (The Secret Life of Bees), you'll enjoy The House on Harbor Hill. Put it on your spring reading list! 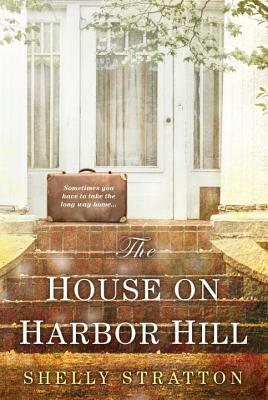 I received a copy of The House on Harbor Hill from the publisher via TLC Book Tours in exchange for a fair and honest review. Connect with Shelly at her website HERE. I do love a good mystery. Sounds intriguing RJ. Have a wonderful Holly Week.........Blessings. Sounds like an interesting book. I typically do not read books like this but I might have to try it. This one does sound very good. I am pinning. Sounds like a great read. Enjoy the week and Happy Easter. This sounds like a good one, RJ. Thanks for introducing it to us. This sounds very interesting, I love books that have flashbacks...I don't know how you read as much as you do, I need to make it more of a priority! The smart-girl-falls-for-conman theme is so true to life and so sad. Delilah sounds like a character I'd really enjoy getting to know.